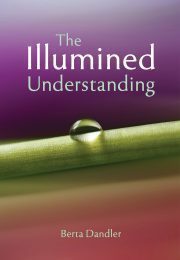 The Illumined Understanding is one of three books by this author. The others are Awakening to Self-Knowledge and Living Beyond Fear. Our highest potential is to find lasting inner freedom, fearlessness and fulfilment through Self-knowledge. This is to realise that our individuality has its source in an ultimate selfhood that has no limitations, and that our ‘I’ is, in essence, one with the power that underlies the whole universe. The path to this realization begins with hearing about the non-dual truth from a reliable source. The next step is to reflect on the teachings and imbibe the essentials. Then through meditation, affirmation, and the related practices, we open up the way to direct realization of the oneness of our true Self and the Being of all. This latest book by the Warden of Shanti Sadan provides nourishment and guidance for each stage. It shows that the higher truth is not complicated or distant and that the key to inner illumination is to understand the true significance and relevance of the timeless non-dual teachings to each of us, personally. This book will be of interest and value to those who wish to deepen their understanding of the non-dual teachings and take advantage of the opportunities life presents to progress on the path to Self-discovery.